I'm also learning that I, almost always, exist in some form of extreme. These are extremes of anything and everything and the highs and lows are both felt. I guess I enjoy that, but of course, the lows can fool you. I try not to let them. Because at the end of the day everything is ok. But what's the point of experiencing life you don't relish the emotions of it? It's sort of like sitting in a hot bubble bath–with the bubbles instead being emotions. You could say that's the one constant in my life–happiness. There's no reason for it not to be that way. And at the end of the day I did move to Europe to be happy. And I used to be so proud that I moved here completely alone, no lover, no company to support me and my move, or much of any material possessions along with me. I gave up everything and everyone I knew, for the Netherlands. I used to think that made me different than most expats. And in a way, I still think that makes my story unique. I moved to Europe alone and on a mission to enjoy life as much as possible. However, it would have been great to have a company transfer me to the Netherlands, for instance. Or have someone by my side to support and help me through all the challenges that moving to a new country entails. And there are many. But I'm glad I did it alone. In the end it only made me stronger. It's always funny to read other expats publication. Some I love, (like this one, and this one, and this one, and this one, and this one, and this one too–a recent addition to the Netherlands' digital publication scene). And others not. I find publication about 'how to move to the Netherlands' (or any country) a tad bit boring. I want emotion. What do you feel? I want (to read) that. This is not a 'how-to', nor a food publication This I know. It's become a very visual publication, in some sorts. And I don't like that. 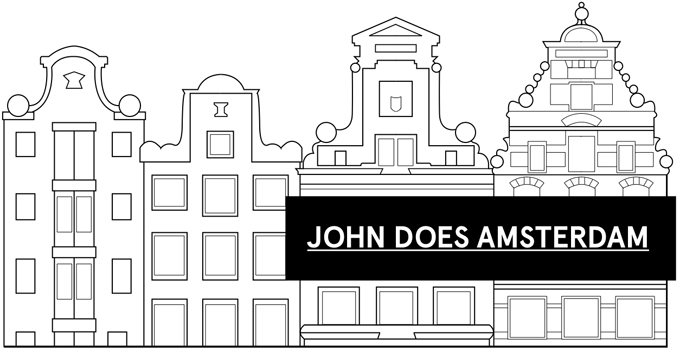 I hope it becomes a resource of information on Amsterdam. I never really imagined anyone would read this publication. But according to my 'visitor-tracker', quite a few people do. A lot actually. From all over the world. And this always surprises me. But I'm glad that people enjoy reading what I write, and that my words can show another side of Amsterdam that most casual visitors to the city, would never see. Looking back it's not that I wasn't happy in America-land. But in my eyes–(following my desire to always exist in an extreme), happiness can always be amplified, now, can it not? I can imagine it's a bit like constantly chasing an unforeseen high. Because just high, is never enough for most. There's always another drink or hit, yet to be had. Another unseen state of ecstasy yet to be felt. One of the many people that have walked into my life since moving to the Netherlands that I never could have predicted, is my boyfriend. (Update, July 2013: Husband!) With whom I have made a wonderful life with, in our new house, in Oost. (Or anywhere we would go or live, for that matter! )A life together that can, and will, only get better in the time still yet-to-come. And a life together that's full of love and happiness. And love, above all, is the most important thing. Is it not? For the past two years, I have been working (quite hard) for one of those small Dutch 'boutique' design studios, dealing with English and imagery, and I enjoy it. I enjoy editorial-ism, and the media. Work in Europe–especially, I think–in the fields of architecture and design–is quite desirable to have on your CV/résumé in American circles. But I am now over that stage of my life. I have no one to impress but myself. And I'm so happy of my accomplishments so far. I'm now at a point in my stay in Amsterdam where it no longer really feels like a stay. It's more like my home. But then again my home is Amsterdam, and not the rest of the Netherlands. 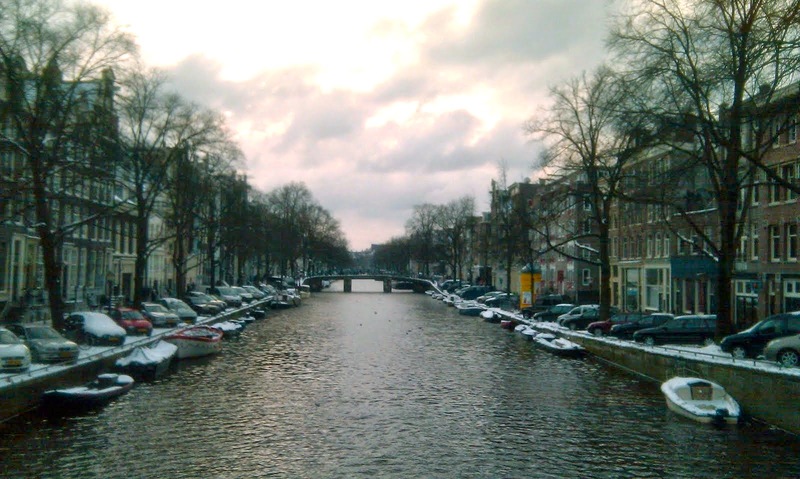 They are two different worlds–Amsterdam, and any other Dutch city. But one thing almost all Dutch cities share, is a sense of place. But then again I have to ask myself what exactly constitutes a home. Or more specifically, one's own home–my home? The longer I stay in the Netherlands, and the more Dutch culture and daily life I absorb, it becomes clear to me that there are similarities to America in many aspects of life here. (Thanks, Marshall Plan!). And then again, many that are not. One is that, just like in America, you have those people who grow up, go away to university (or a local college), and then resettle in the same city where they're from, live life, marry someone from their hometown–or one nearby–and give birth to a whole new generation that will repeat the same set of actions. Whoa. This had never even occurred to me before. Ever. I'm pretty sure the answer is yes. But everything can always be amplified. Can it not? Living away from friends you've known for a long time, as well as family, and having a whole new country, language and culture around you, can amplify aspects of life that shouldn't be amplified... If I were to juxtapose these tid-bits onto an 'imaginary-life' that I could be having in the States right now, that is. As of lately I have been day-dreaming about San Francisco. I lived there for six months and loved it. Almost moved back, in fact. Namely, I dream about how everyone speaks English and how easily I could make lots and lots of money there and have a stupendous life–complete with a granite counter topped kitchen, a car, and other luxuries of modern America. It's funny how Europeans often criticize America for many aspects of the way of life there. With most people though, as I have deduced, it boils down to intrigue and envy. I sometimes find myself intrigued and mesmerized by American commodities that would be considered rarities in daily Dutch life, and I'm American! Funny how I moved to Europe with a romanticized view of riding my bike around all day, sitting next to beautiful centuries old architecture, while sipping a cappuccino by a canal or in the park. Well, everything I fantasized about Amsterdam, has come true. And then some. The thing this: everything that I ever could have wanted o expected out of my life in europe manifested and materialized itself. Everything that I wanted out of Europe has already begun happening or has happened. Which is great, because that can only mean there are more great things to come that I could have never predicted or expected. Which, to someone who lives in a constant state of extreme, is, extremely stimulating. One of the most important, if not the most important aspect of my life in the Netherlands, is my boyfriend, whom I would have never predicted meeting in a million years. But I guess that's life for you–somehow it will always be hard to 'see around the corner'. Unless you have a mirror of course, but, hypothetically and metaphorically speaking, it's quite true. I recently paid a hefty sum to have my Dutch residence permit/verblijfsvergunning changed, to being based off relationship with my boyfriend, rather than that of the studio. And that in itself marks the beginning of a new era in the history of my relationship with Amsterdam. I can now apply anywhere I want in the Netherlands and/or the EU, and work, work permit free. Meaning, I'm just like a Dutch person, as far as paperwork goes, minus the fluent Dutch, of course. But it's getting there! In addition to moving to the Netherlands at the ripe old age of 22, I also started my first 9-6ish full-time salaried position. Starting your first salaried position, in any first world country, is probably a growing-up step of anyone's life. But doing it in a different country than your native one. One where the language and business customs are highly different than your own, is, at times, challenging. Especially when business meetings are fully conducted in a language you don't know fluently. That language being Dutch. At this point to truly make Amsterdam my home, I've gotta get down with the Dutch. I'm pretty good, but no where near fluent. I understand about 70% of the conversations around me. And I can respond! But the best part? I can still, in my head, while being surrounded by Dutch conversations, say: no thanks! And turn off the Dutch, just like that. And be in my own little world. This is one of those unique traits of my character, and one I wouldn't have developed, had I stayed put in the USA. There, I would be able to understand almost everyone and everything around me. Here in the Netherlands, I am amble to sit back, and take in a whole new world, each and everyday. Everyday my sense are flooded with a constant stream of (yet unfamiliar) visual imagery consisting of new objects, new shapes, and new colors, new words, and new people. And I like that. I like the constant culture exchange that I'm immersed within. I like always taking in new information. It forces me to be a stranger. I will always dream, and shoot for the stars in everything I do–while simultaneously understanding the people around me are just as important as my dreams, and that I have to keep two feet on the ground, at all-slash-most times. The best part about knowing Dutch is the ability to: 'take-in-the-swirl-of-audio-around-you', and, 'hear-people-speak'. (Or we could just call this what it is and say that I now enjoy: eavesdropping, in a whole new way. Life begins to feel a bit more homey and a bit more at ease with each passing day. Which is great. Because somehow, all my life events, have lead to Amsterdam becoming my home. And that, is heel-super-mooi, leuk, en heel, heel lekker.